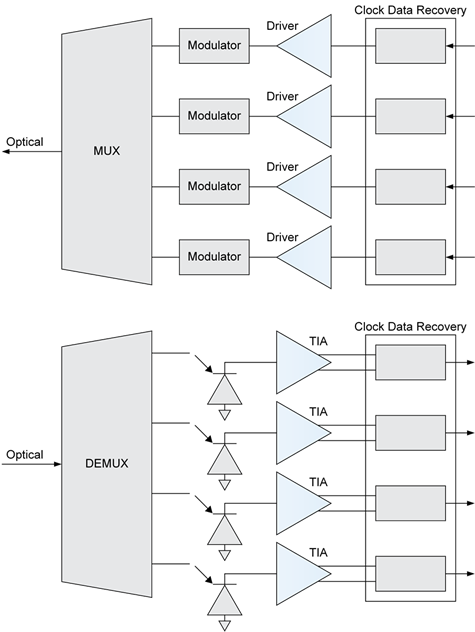 As the demand for bandwidth increases, so does the demand for reliable and flexible optical solutions. Qorvo's high-performance core optical products and solutions support data rates from 40G to 400G. We design, manufacture, test, assemble and package our products in one secure facility, allowing you to bring your product designs to life with a single trusted company. 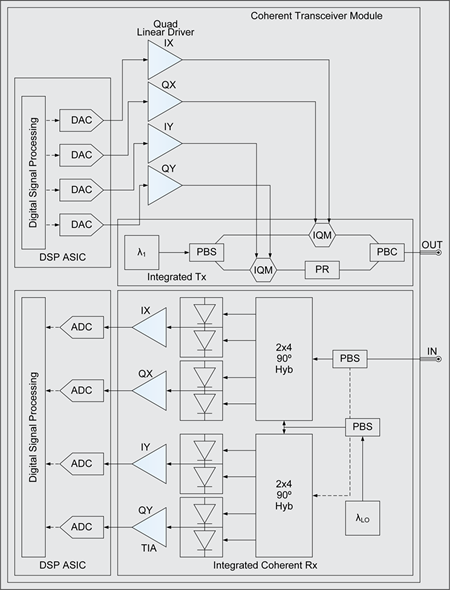 Our solutions include transmitter modulator driver amplifier modules and receiver transimpedence amplifiers (TIAs) for high-performance optic equipment that is critical for long-haul, metro and data center applications. Qorvo meets the size and power demands to support higher-frequency signals and extremely low distortion requirements for supporting the next generation of fiber optic networks.